A user on Reddit first noticed that the AirPort Express has started to show up in the Home app for developers running the iOS 11.4 beta. 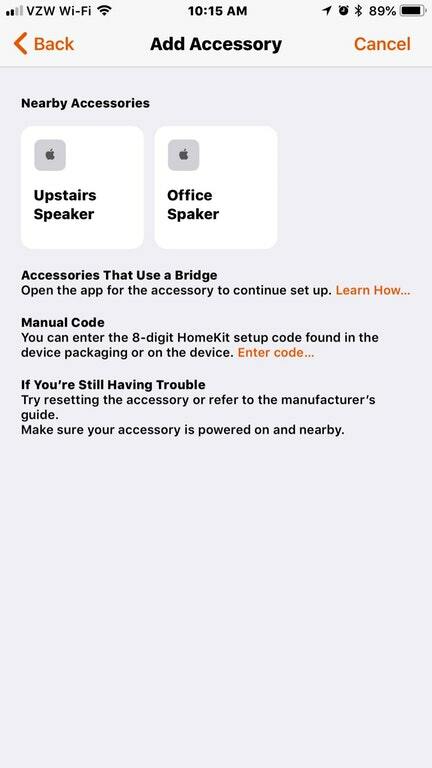 If you have an AirPort Express and you go to an add an accessory in the Home app while running the latest iOS beta you will see any second-generation AirPort Express devices pop up. Of course, you are not yet able to actually add the AirPort Express as an accessory as the matching firmware update has not yet been released to the networking device. Based on the behaviour seen in the first iOS 11.4 beta, it appears that support will be limited to the 2012 AirPort Express model only. Older models are not showing up in the Home app at all. The appearance of the AirPort Express in the app mirrors how the Apple TV works under AirPlay 2. Of course, we actually don’t know when AirPlay 2 will be released, as it was originally promised for iOS 11.0. The HomePod page currently advertises AirPlay multi-room and stereo pairing features as coming ‘later this year’. We will continue to keep an eye on this feature as it progresses through the iOS 11.4 beta. iOS 11.4 is not expected to be released to the public until this summer.